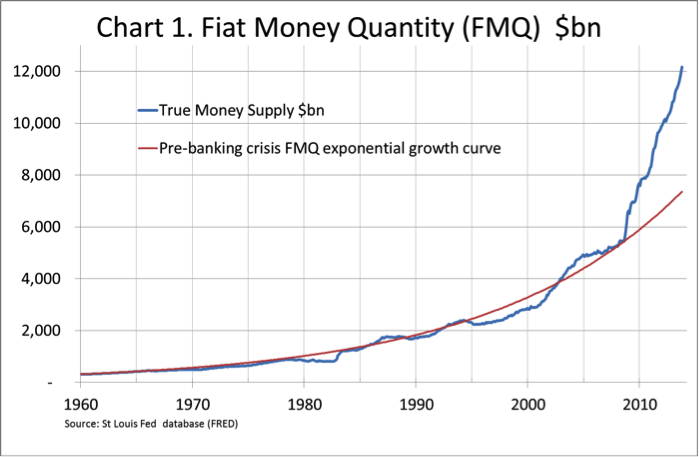 QE3 is running at $ 85bn, and directly increases FMQ by double that amount, or $ 170bn, indicating that other factors contributed $ 57bn to the FMQ total. This suggests that the current rate of QE was insufficient to provide the liquidity required in money markets consistent with current interest rates, at least for the month of September. However, bond yields are still high, despite the deferral of tapering, as shown in the second chart, which is of the US Treasury 10-year note yield. 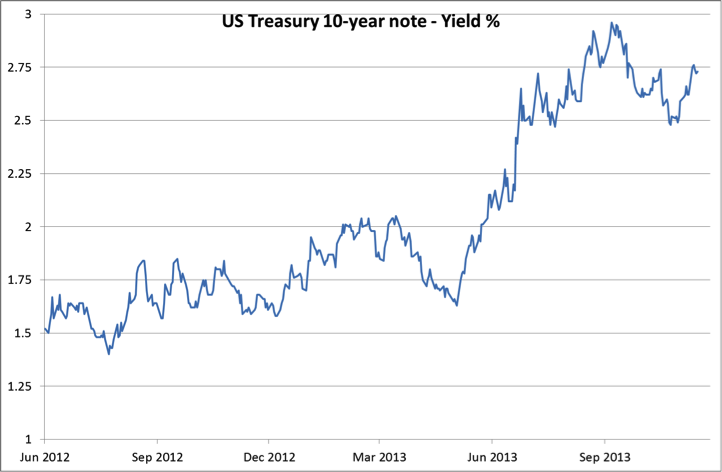 Since 30th October the Treasury 10-year note yield has increased from 2.5% to 2.75%. During that time it has been more widely acknowledged that tapering has been deferred for the foreseeable future. This being the case, the rise in yield indicates that underlying tightness in bond markets has returned after a brief pause, despite the Fed’s bond purchases and the liquidity this provides. Therefore, QE3 may need to be supplemented by other measures if interest rates and bond yields are to be maintained at current levels. Note: the methodology and construction of FMQ was published by GoldMoney.